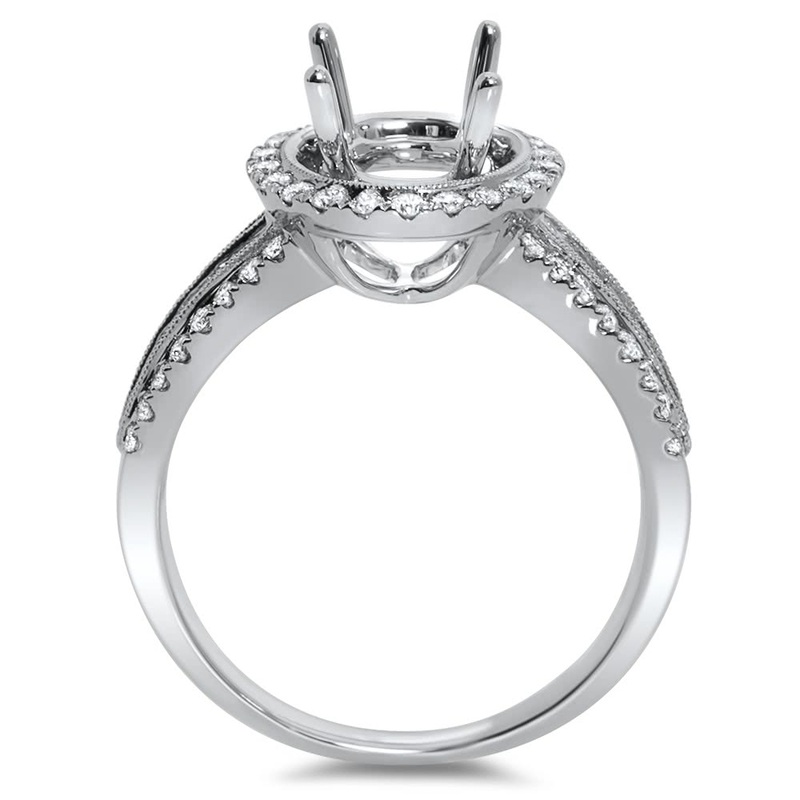 18k white gold engagement ring has three rows of side stones as it cathedrals up to the center. 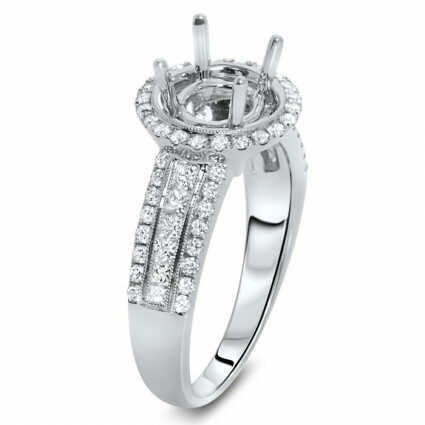 The outer rows contain micro pave round diamonds and the center row has princess cut diamonds. 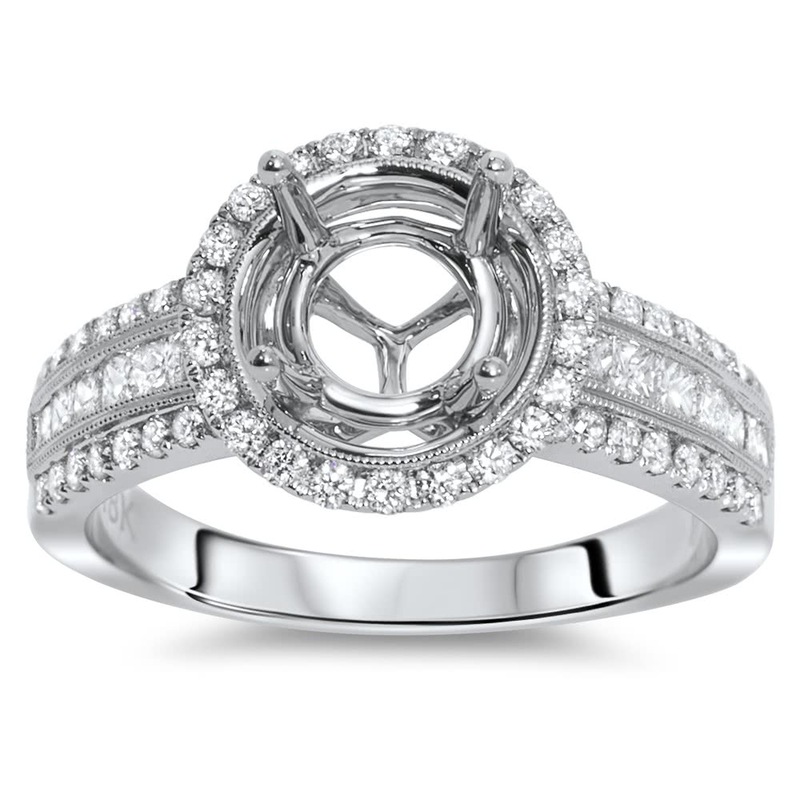 The ring will hold a 1.5 ct round brilliant cut diamond.